The EDM producer brings his hit hospitality offering to SLS Hotel South Beach -- this time, offering five days of performances and events. The Grammy-winning EDM hitmaker is launching Avicii Hotel at SLS Hotel South Beach from March 26 to 30, during the Ultra Music Festival and Winter Music Conference 2014. The EDM-meets-luxury hotel collaboration -- in partnership with SLS Hotel South Beach and Avicii's managerAsh Pournouri's At Night Management -- promises world-class programming and events, exclusive room packages and a chance to eat at SLS Hotels' dining hotspots: The Bazaar by José Andrés, Katsuya by Philippe Starck and Hyde Beach. "I’m so excited to, for the second year in a row, launch the Avicii Hotel and get in front of fans on this amazing property during Miami Music Week,” said the "Wake Me Up" and "Hey Brother" producer (whose real name is Tim Bergling) in a statement. Avicii Hotel at SLS South Beach's five-day hospitality offering will pop up during the Winter Music Conference (March 21-30) and Ultra Music Festival (March 28-30, which he headlines for the second year in a row). The Swedish music producer has partnered with Ultra for multiple marketing initiatives over the years. 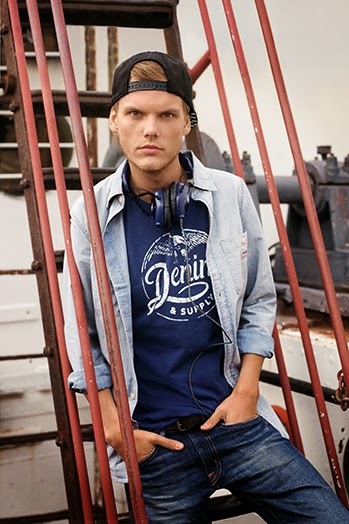 Besides introducing the Avicii Hotel for ten nights with the Marlin Hotel during last year's music festival, his face was emblazoned on partygoers' shuttle buses in 2011 and on ice cream trucks in 2012. "The SLS brand is rooted in a commitment to culture, style and innovation, and partnering with Avicii is powerful representation of that dedication," added Costas Charalambous, Senior Vice President of SBE Nightlife Group. "Together we’ll create a one-of-a-kind experience for the EDM/dance music community that will add an unparalleled element to Miami Music Week." Rooms are available to book online, with starting rates at $450 for single occupancy and $865 for double occupancy. Guests will be offered exclusive access to performances and events (to be announced at a later date) and can upgrade to special room packages that include tickets and VIP access to the entire property.